Lead Acid or LiFePO4? This is the price per kWh stored and cycle life comparison. 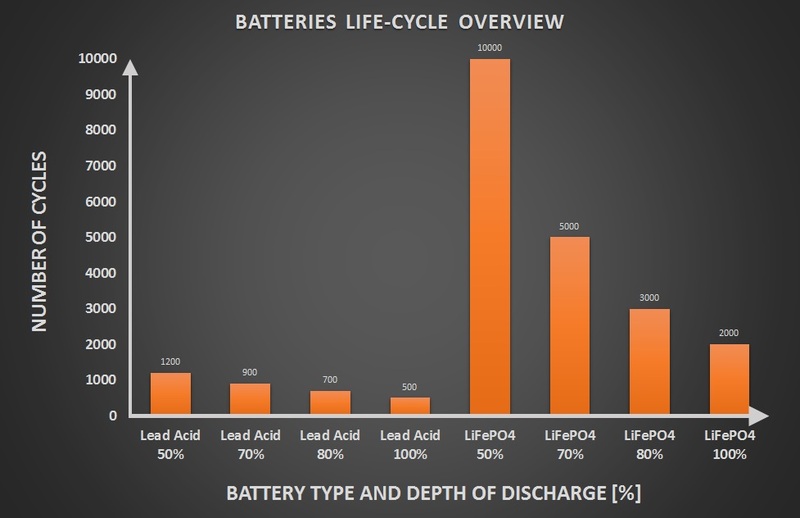 The two following graphs will show you the comparison between the Lead Acid and LiFePO4 batteries. 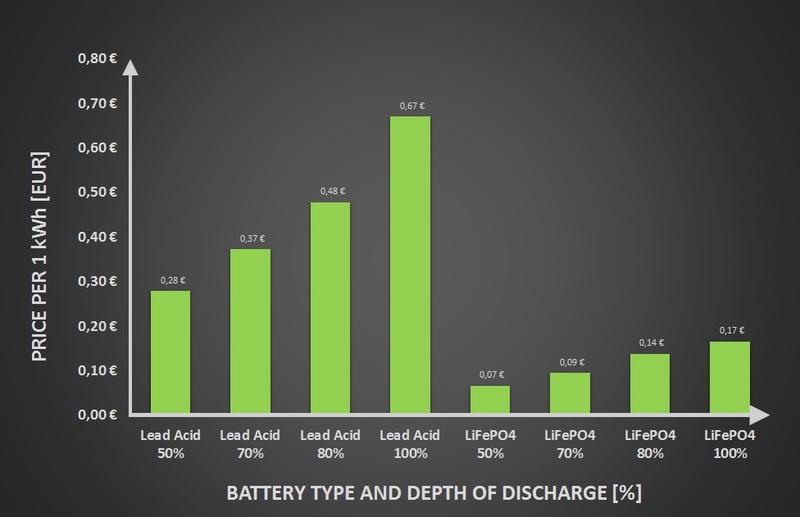 The first one compares the average number of cycles (cycle life) according to the battery type and a depth of discharge. The second graph applies these figures to calculate the cost for one kWh of energy stored – again according to the battery type and the depth of discharge. If you wonder how we got these figures or even would like to calculate the costs for a kWh stored for your own battery storage system, follow the steps below the graphs. > Because we want to gain the longest possible battery durability, we will use it only for 50% of the capacity (this is so-called 50% DoD – depth of discharge). The usable battery capacity is therefore 0.5 kWh. > With this low DoD, the battery endures storing this amount of energy for about 10 000 times back and forth (= number of cycles = cycle life). Then it begins to degrade rapidly. > The cost of storage (or discharge) of 5000 kWh was 330 € = the price of the battery itself. The cost of storing (or discharging) one kWh is 7 cents.